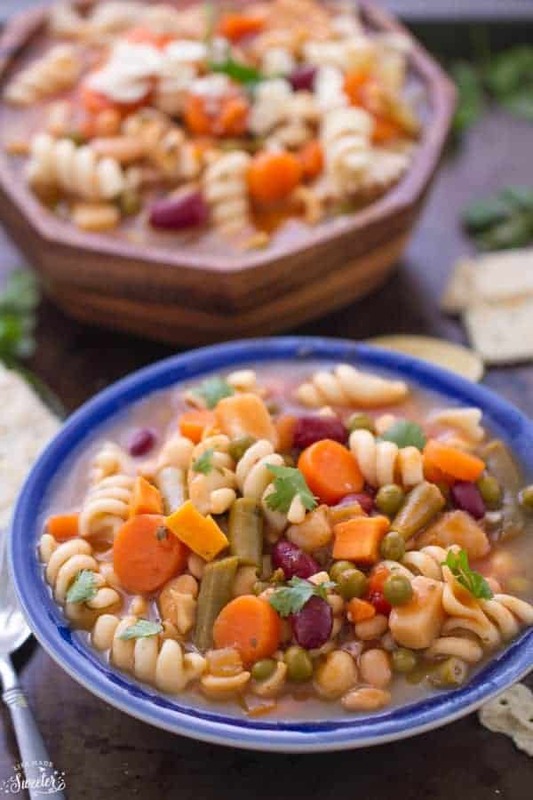 Easy hearty and healthy homemade vegetable pasta soup is loaded with green beans, carrots, sweet potatoes, peas, and beans. 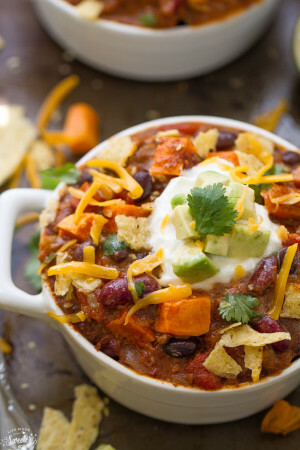 One of my all time favorite things to make during the winter is soup and chili. You can’t beat how easy they are to make and they are just perfect on a cold snowy day. 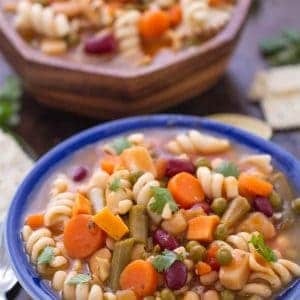 This Hearty Vegetable Pasta Soup is filled with tons of veggies like green beans, potatoes, peas, carrots and sweet potatoes. The kidney beans and pasta make this hearty enough to fill you up and keep you going throughout the day. It’s the perfect vessel for tossing in any other combination of vegetables you might have lying around int he fridge. I like to make a big pot and then freeze the leftovers for another day. It is hearty, warming and makes great leftovers for lunch or you can pack it up to take along to work the next day. Add in garlic, onions, carrots, and potatoes. Sauté until onions are translucent. Pour in the entire can of tomatoes, water, and beans. Bring to a simmer for about 5-7 minutes. Season with oregano, salt and black pepper to taste. Finish by adding in green beans/peas and pasta. Simmer for 5 more minutes until green beans are heated through. 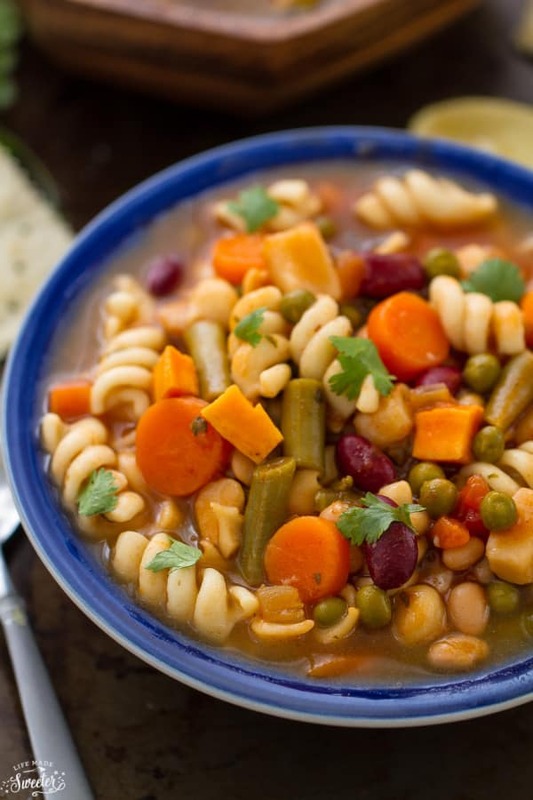 Love all the veggies in this soup! Soup is my favorite too! Love the sweet potatoes in here, Kelly! This looks delicious! Perfect for a cold day like today! Fantastic! I love soup all year long! This one looks so comforting! Such a comforting and delicious soup! Love it Kelly! I love this soup, Kelly! 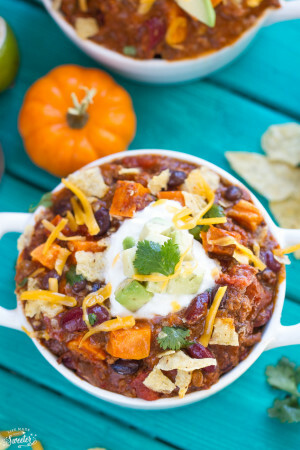 So hearty and healthy!